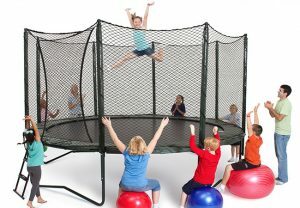 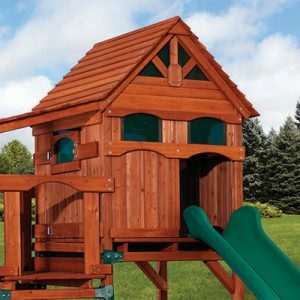 The ADVENTURE TREEHOUSE JUNIOR is a fantastic value! As one of our new space saving forts, this play set can be loaded with fun in a smaller space. 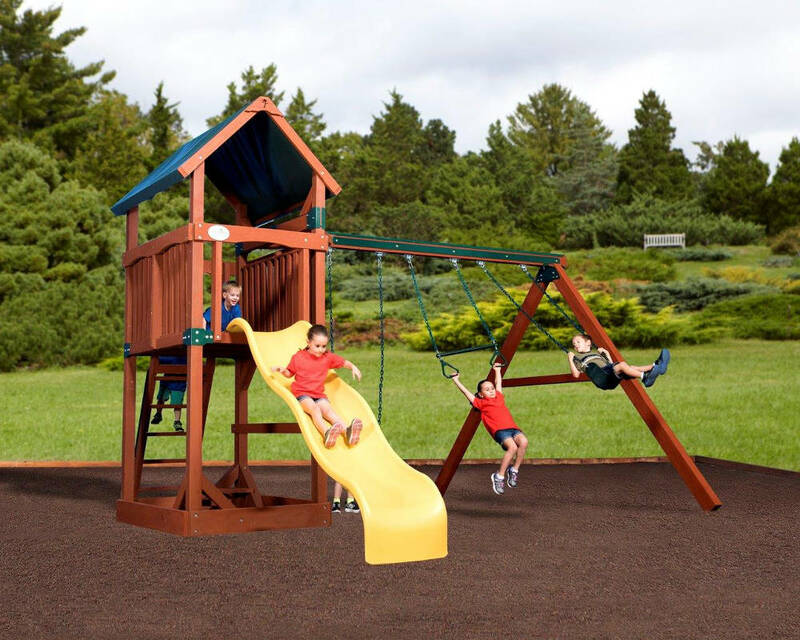 You can add a rock wall, picnic table, sandbox, swing beam and slide to maximize play value without compromising on strength. 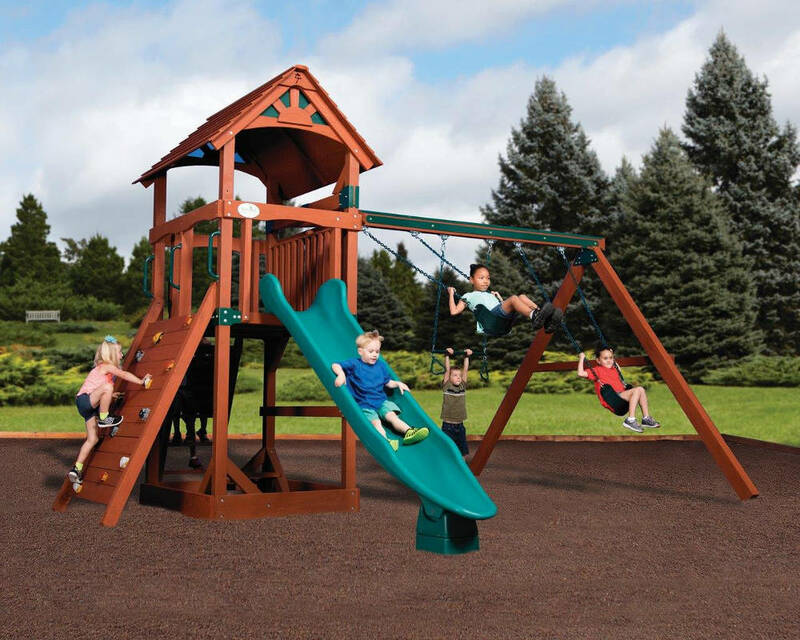 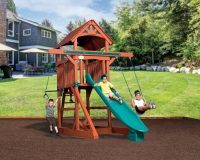 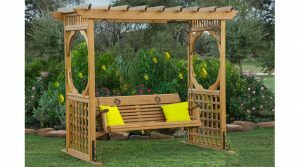 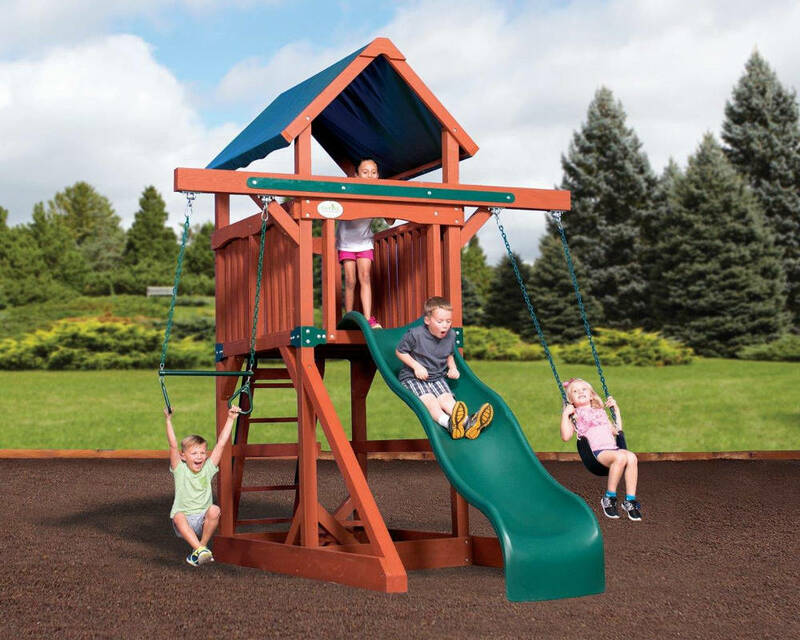 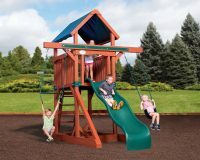 The Oklahoma Playsets Treehouse Series is the world leader in total value. 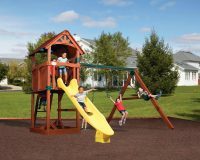 Our Treehouse Playsets have been tested for over 25 years and continue to live up to the expectations of families around the world. 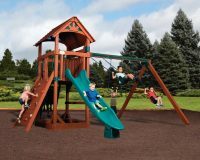 We recently redesigned our Treehouse series to give you the highest quality, easiest to customize, best priced Specialty play set available.